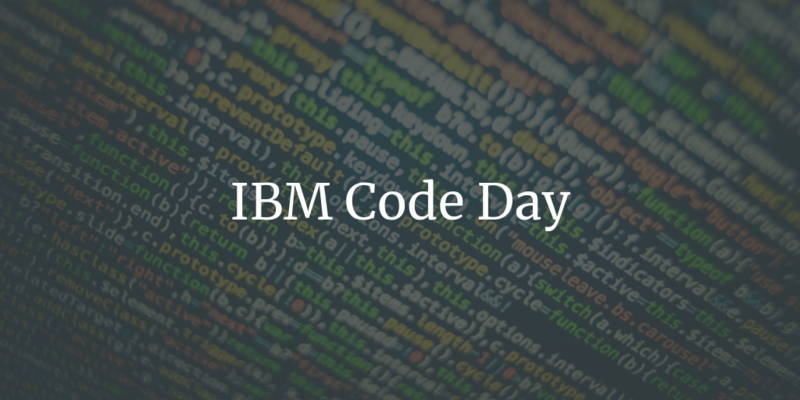 This was my first IBM Code Day. I had never been to one and the idea of meeting other IBM Champions excited me. Just wanted to know who they were and what they were up to. Code Day also promised some demos and talks that were interesting. I am going to talk about the technologies that excited me throughout the day instead of talking about each talk. Istio is an open platform to connect, manage, and secure microservices. It’s a collaboration between IBM, Google and Lyft. Istio is the result of a collaboration between IBM, Google and Lyft as a means to support traffic flow management, access policy enforcement and the telemetry data aggregation between microservices. It does all this without requiring developers to make changes to application code by building on earlier work from IBM, Google and Lyft. I love interoperability amongst vendors. As of now its a huge problem in the area of microservices. Code written for AWS Lambda wont work on IBM Functions or the other way. There are third-party generic libraries which try to achieve this. They are quite good too. But something from the providers that operates at much lower level would be great. Istio is one such effort. PowerAI makes deep learning, machine learning, and AI more accessible and more performant. Its a software platform which includes popular Machine Learning frameworks that work with IBM Power Systems. Supported ML frameworks include TensorFlow, Caffe, Torch, Theano etc. IBM Power Systems is IBM’s Power Architecture-based server line, built with open technologies and designed for mission-critical applications. One of the example you can try is identifying houses with pools using a pre trained model. PowerAI supports Transfer learning. Transfer learning is the process of taking a pre-trained model (the weights and parameters of a network that has been trained on a large dataset by somebody else) and “fine-tuning” the model with your own dataset. So you don’t need to start from the scratch. There are Jupyter Notebooks on Github that you can setup to run on PowerAI. It’s a good way to get started with PowerAI or get a taste of it. NodeRed is a flow based programming tool (Feels so much like Yahoo Pipes) originally developed by IBM’s Emerging Technology Services and now is part of JS Foundation. In simple terms Flow based programming is completely UI driven and the data flows from one node to another node through connectors. Nodes can also act on the data before passing. The complete programming can be done in UI and lends very well to beginners. NodeRed is also very powerful. Once you install the NodeRead (You can install on a RaspberryPI or you can install on IBM BlueMix), you can add various types of Nodes or Flows to add extra functionality. I have used it inside my home network to control stuff (home automation). But you can also use it to access IBM Watson Services to bring intelligence to your flow by just drag and drop. I will probably write a detailed blog post on how I use it. Until then keep experimenting on this amazing Open Source tool. The Quantum Information Software Kit (QISKit for short) is a software development kit (SDK) for working with OpenQASM and the IBM Q experience (QX). I have not tried it yet but planning to do. We have always talked about Quantum Computing, IBM Says its already here. There some Jupyter Notebook based tutorials. I am itching to try it. I will blog about it when I do. In the meantime you can try it too.